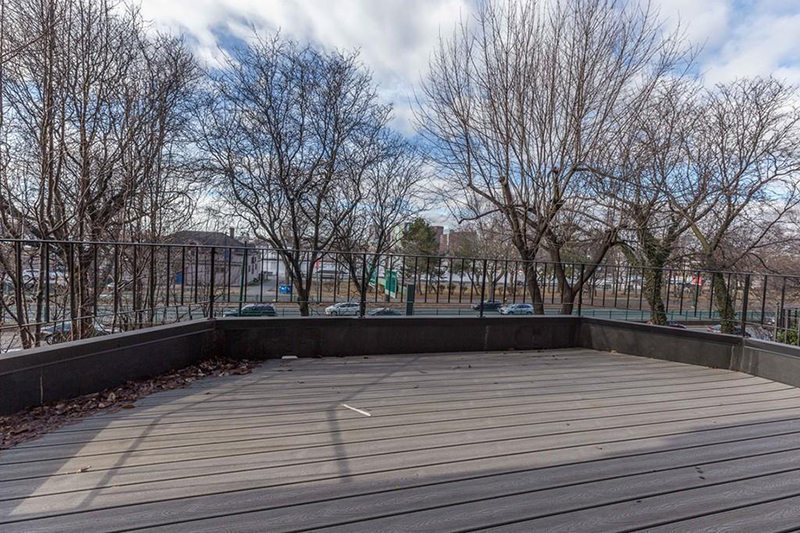 A terrace off the living room overlooks the Charles. 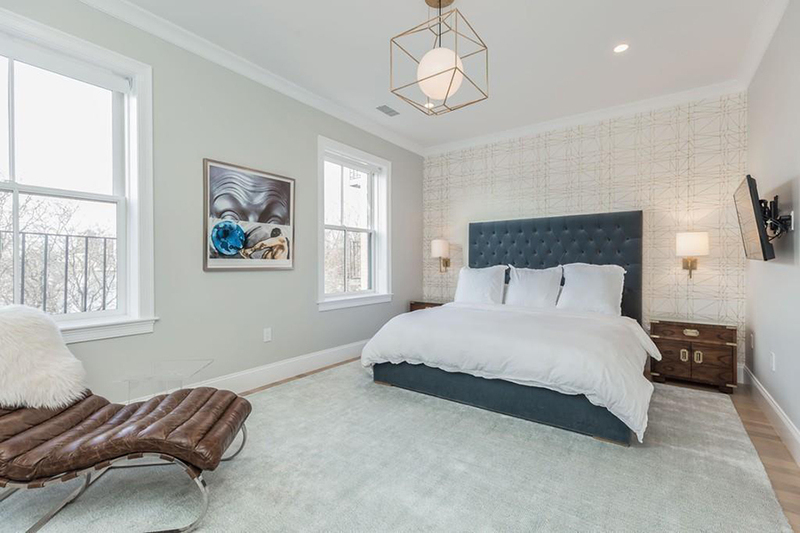 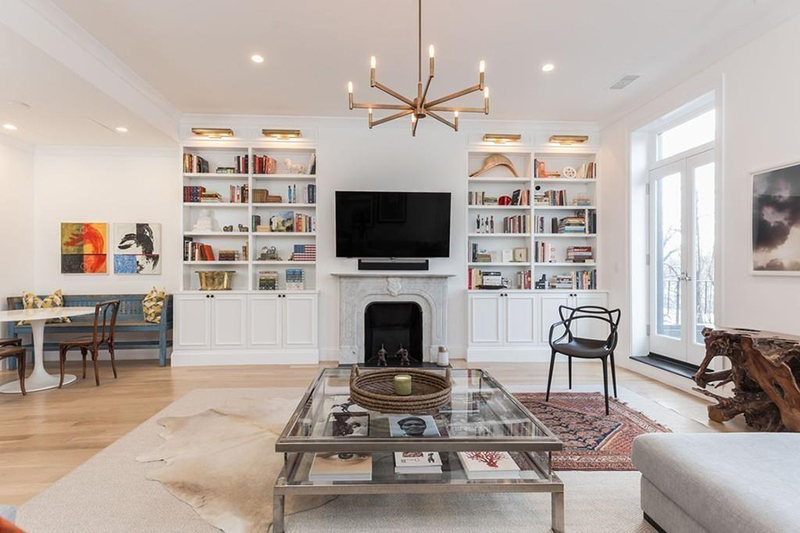 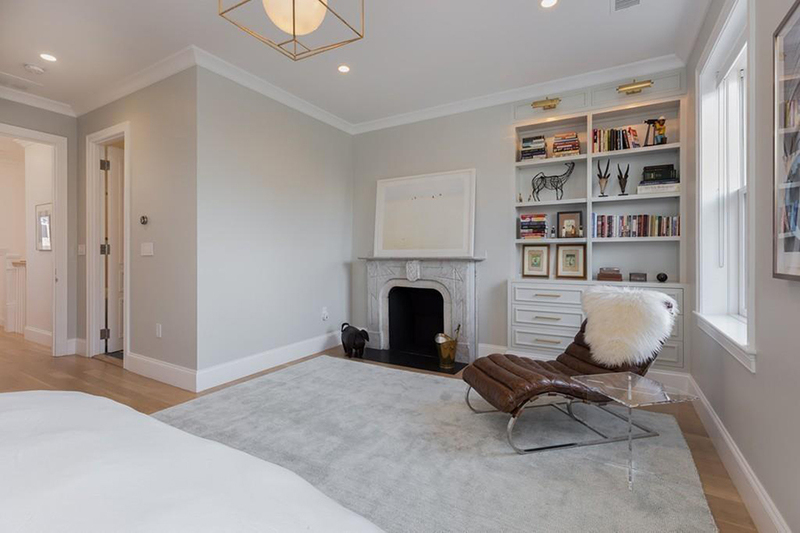 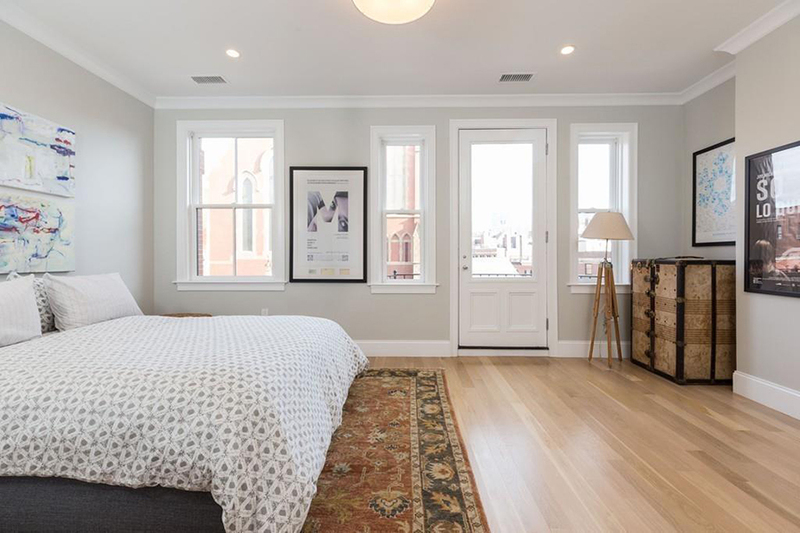 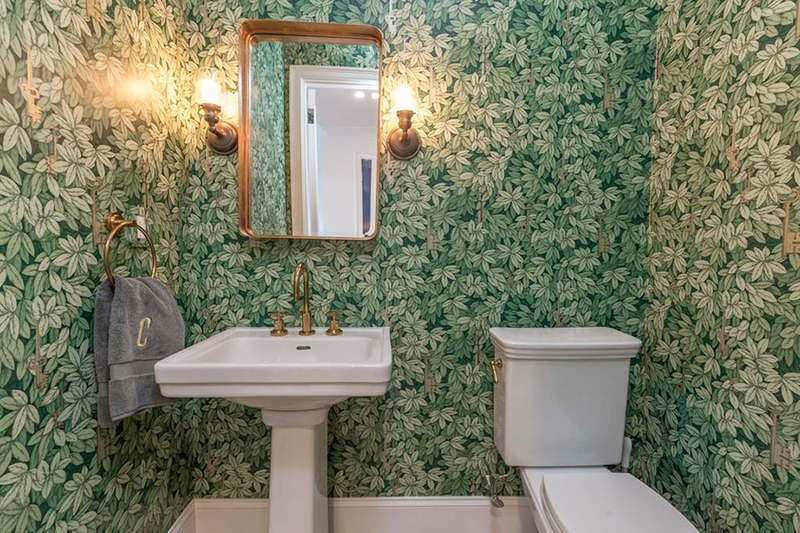 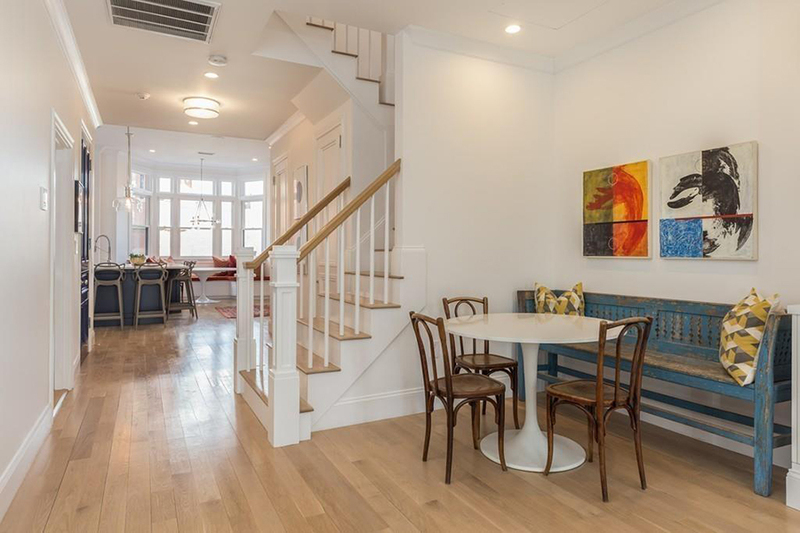 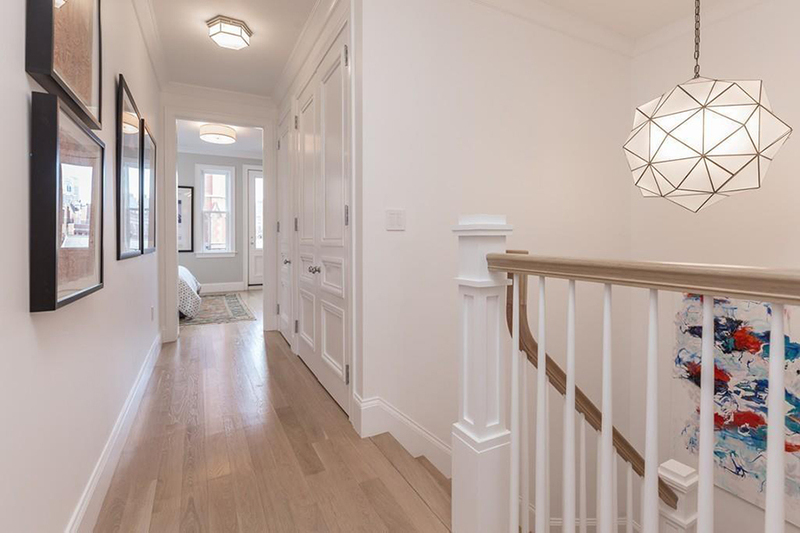 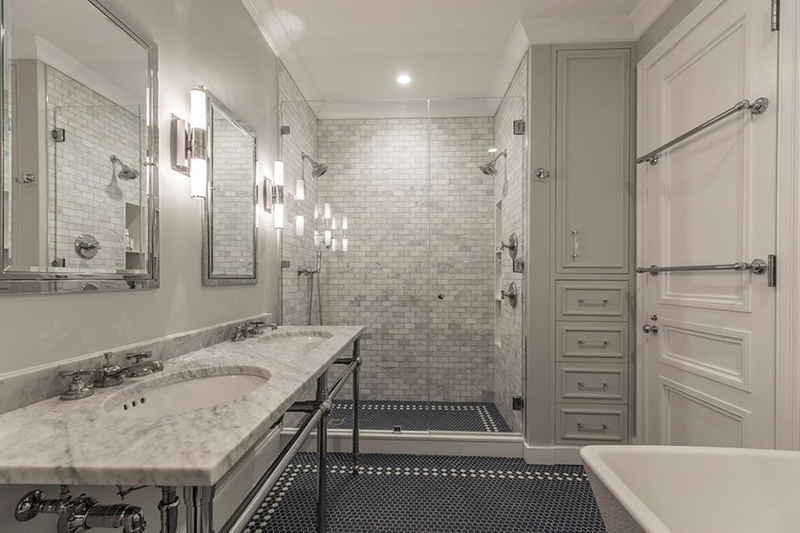 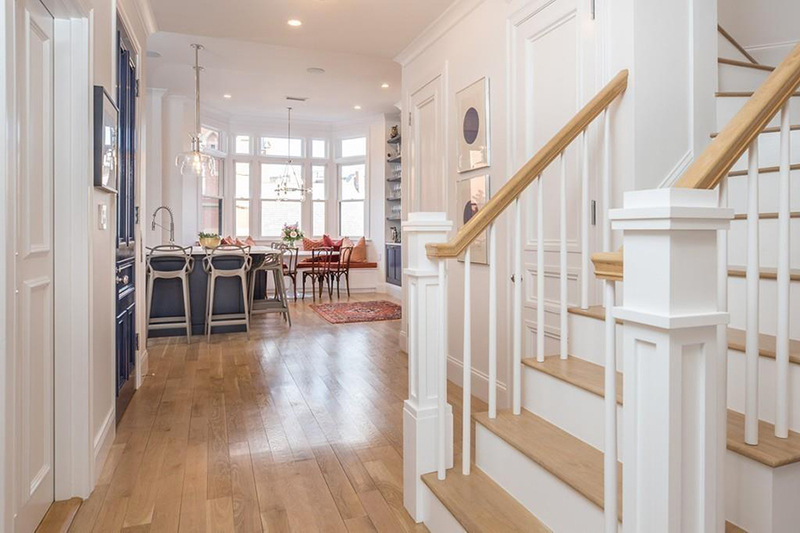 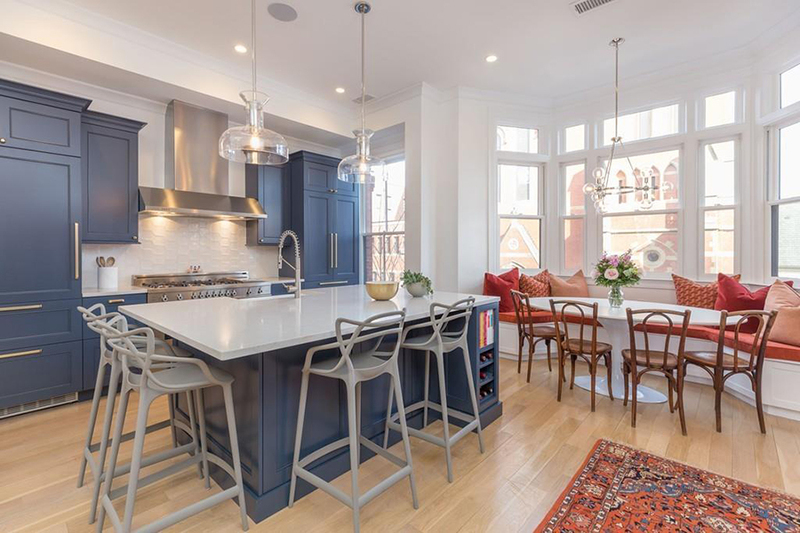 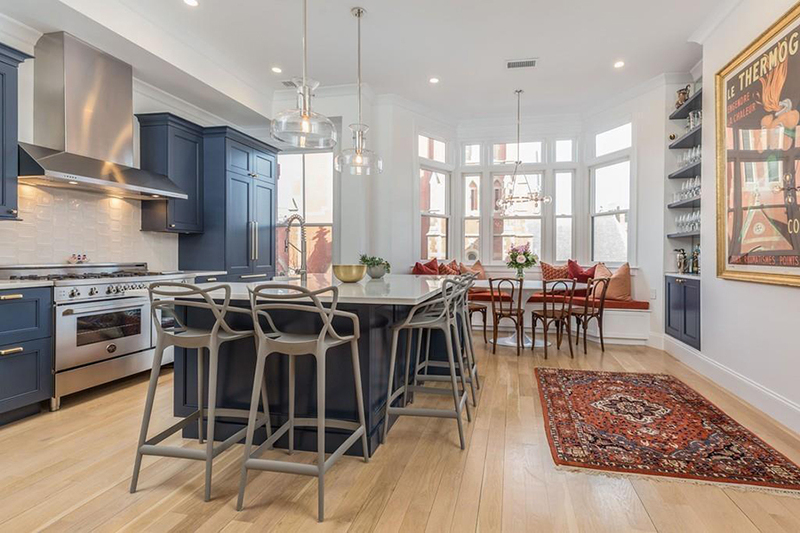 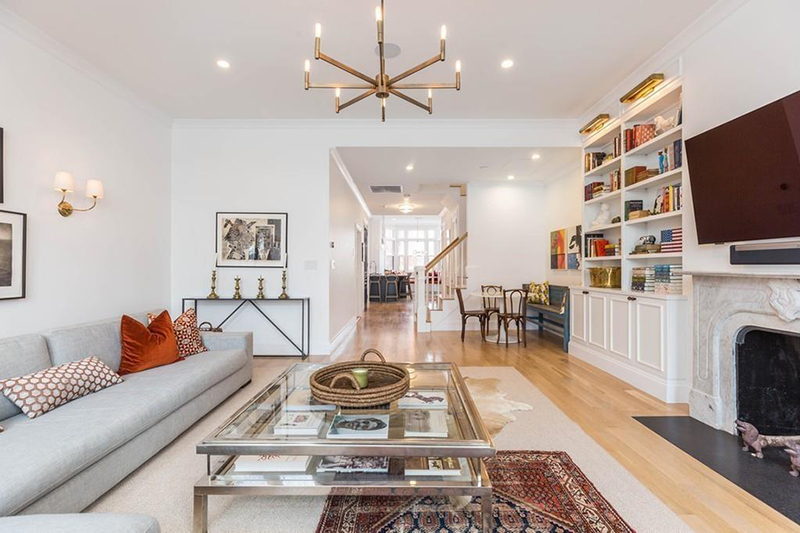 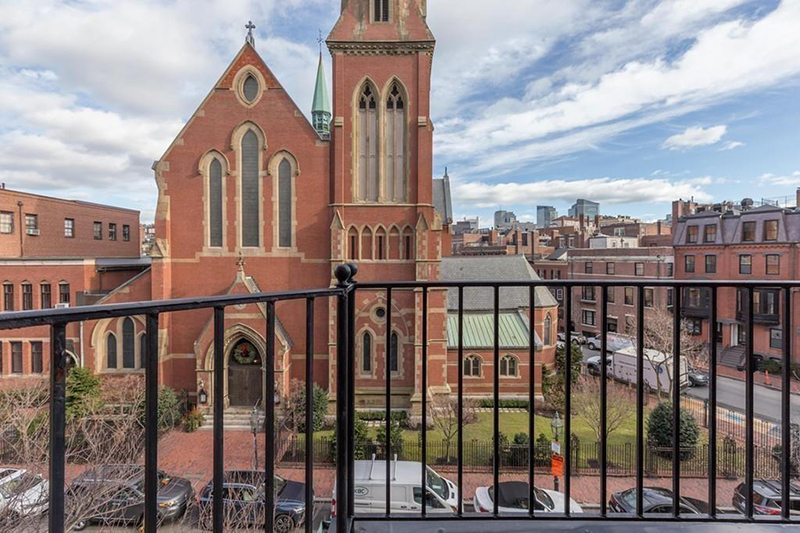 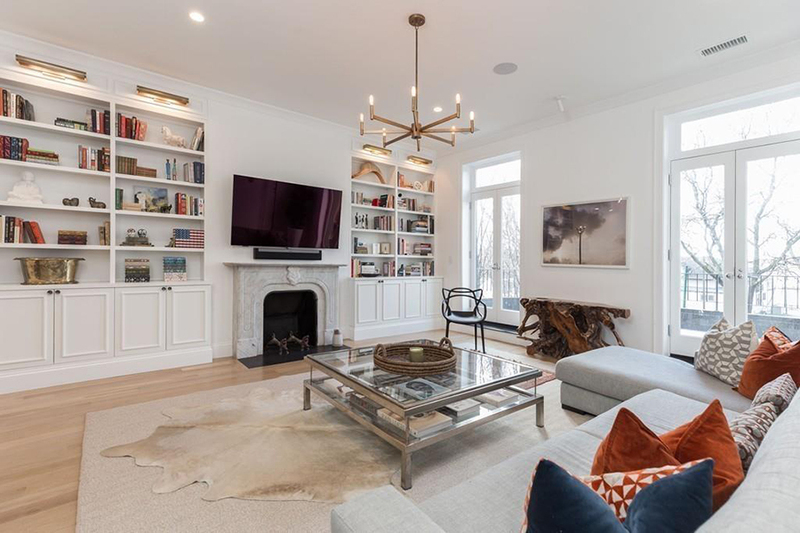 By Madeline Bilis·	 1/31/2018, 4:13 p.m.
For some, Beacon Hill conjures images of sparkling chandeliers and walnut paneled-libraries, but this 1890 townhouse for sale on Brimmer Street rejects the Brahmin aesthetic entirely. 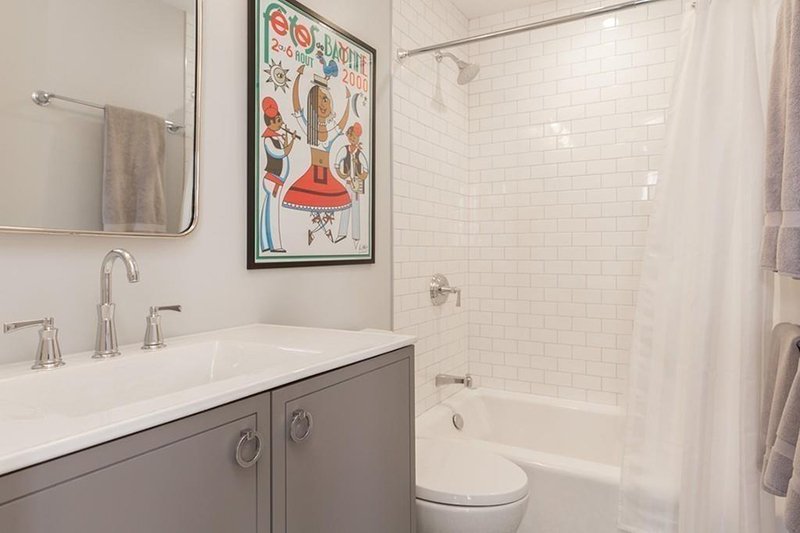 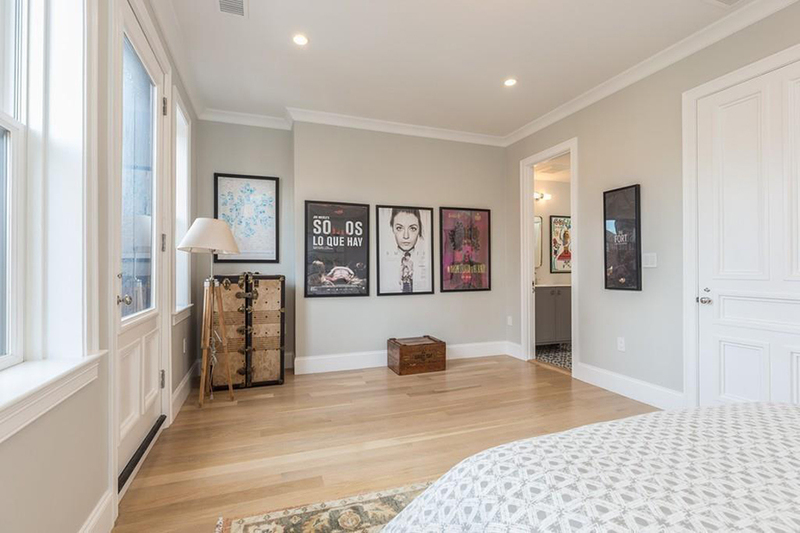 The unit was recently gut renovated, boasting a slew of modern amenities and contemporary touches. 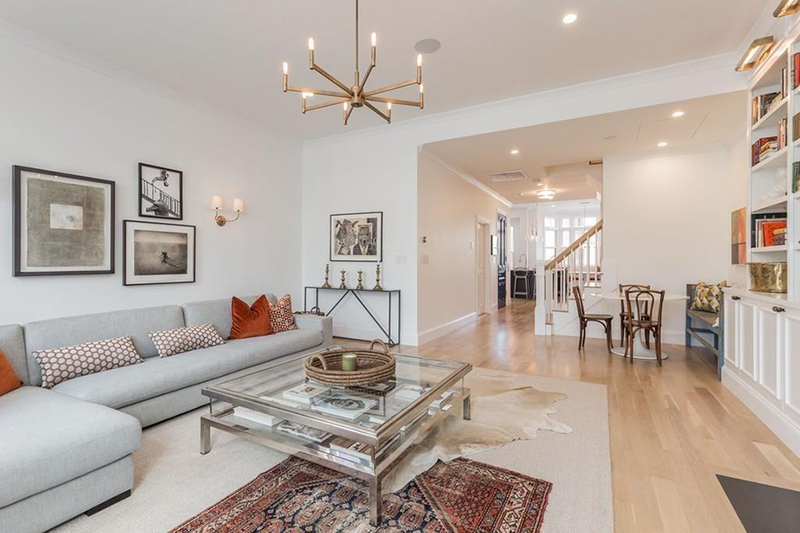 A private elevator whisks you to the airy second-level condo, which is equipped with smart home technology like remote voice, temperature, and lighting control. 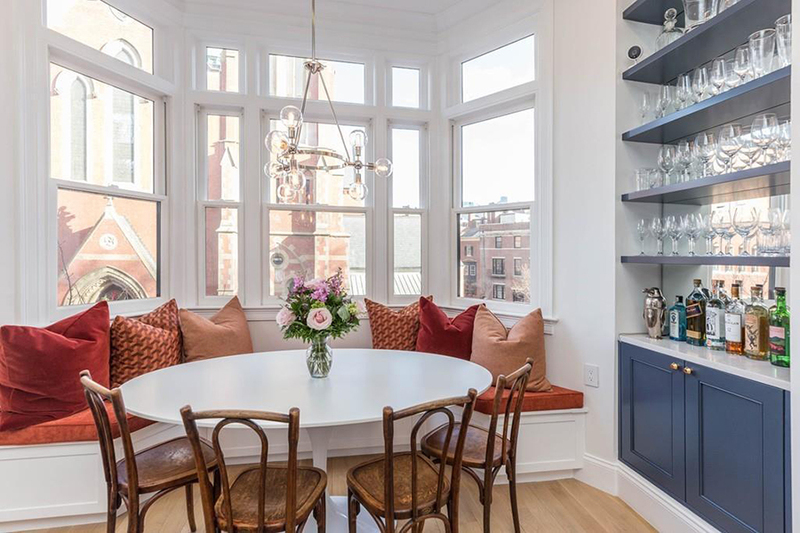 In the living room, a set of French doors opens to a terrace overlooking the Charles, while the kitchen boasts top-of-the-line appliances and funky fixtures. 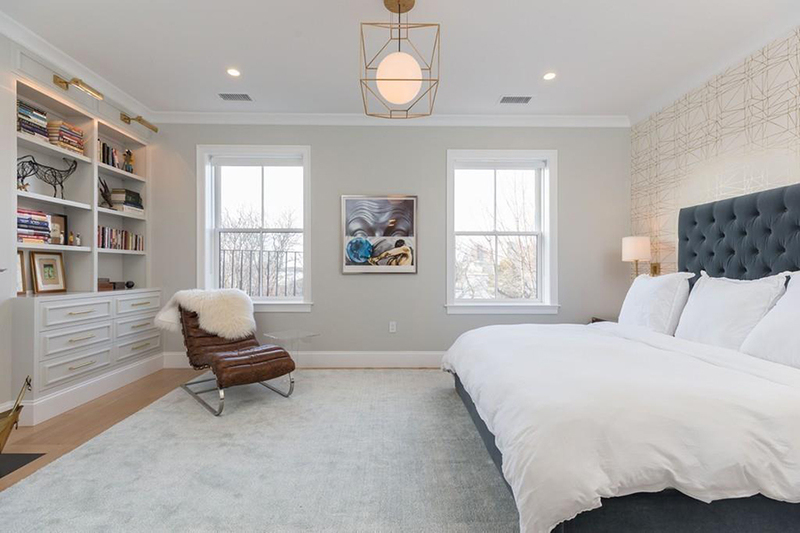 Upstairs, the master suite offers a walk-in closet, a fireplace, a built-in dresser with bookshelves, a private balcony, and an ultra-luxe marble bathroom. 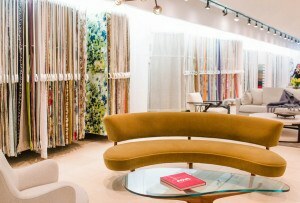 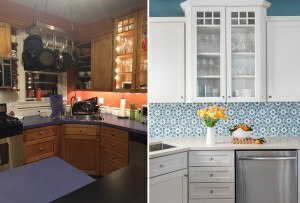 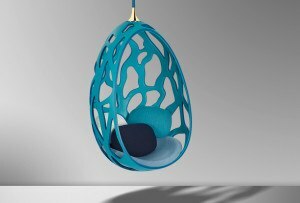 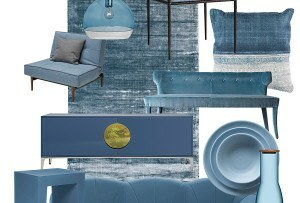 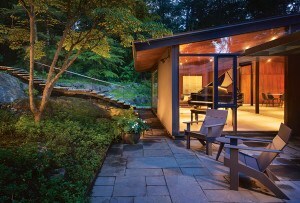 For information, contact Brigitte LaBonte Petrocelli, Coldwell Banker Residential Brokerage, coldwellbankerhomes.com.